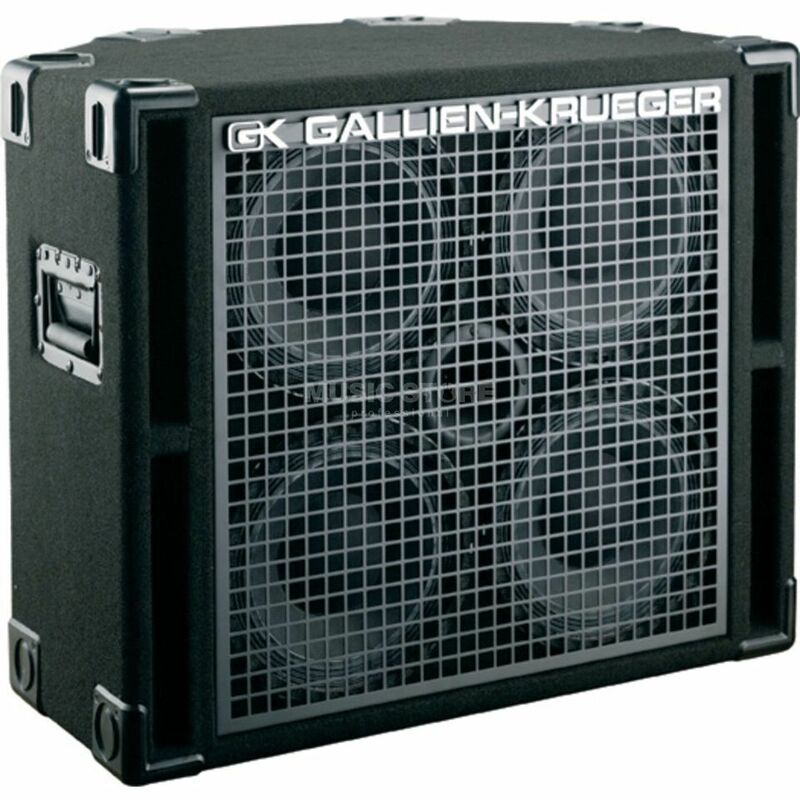 The Gallien-Krueger 410RBH is a bass guitar amplifier speaker cabinet featuring four 10-inch speakers. The Gallien Krueger 410RBH Enclosure is part of the RBH series, which was first introduced in 1998, and the first cabinets to feature GK's unique Horn Bi-Amp System. The 410RBH offers four of GK's P10/200 Cast Frame speakers with P508 horns, which provide a sound full of punch with incredible clarity. The 410RBH's unique shape enables the cabinet to be positioned upright or tilted back like a floor monitor, providing incredible versatility.